The word ‘leadership’ suggests the word ‘followship’. Speaking louder than words, the action of ‘leadership’ does not include ‘followship’. The evolution of The Graduate Union of The University of Melbourne since its establishment in 1911 is due in large part to the philanthropic contribution of funds, buildings, bequests and time from our dynamic and generous membership. In 2018, we are pleased to launch our fourth annual appeal. Funds raised from each of these yearly calls for your support have been directed to endowment fund pools for scholarships and bursaries, as well as to improvements of our buildings and facilities. In 2017, for example, the annual appeal donations provided for the re-carpeting of the ground floor of our central wing and for the replacement of lounges, tub chairs and small tables. We thank everyone who showed a generosity of spirit and donated to this cause. The result is a greatly improved facility in this vibrant meeting, social and thoroughfare space. The 2018 Annual Appeal is towards increasing the endowment pool that is directed towards our National Student Leadership Forum (NSLF) Scholarship. 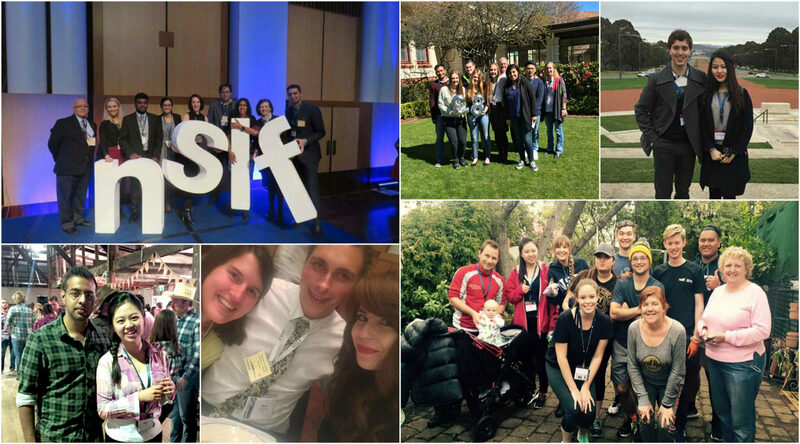 Taking place over four days in Canberra, the NSLF focuses on the importance of values and personal beliefs as a foundation for leadership. As described by previous recipients of this Scholarship, attendance and participation in the NSLF is life changing, inspiring and a unique learning and self-development experience. It has also reinforced to these participants the importance and potential influence of our Association of Members from all disciplines, ethnicities and life stages in leading innovation for the benefit of our shared global society. Since 2014, we have nominated and supported two residents to attend this NSLF each year. To date, we have thus changed the lives of eight Resident Members. We invite you to visit our website to read their stories about this once-in-a-lifetime experience on the National Student Leadership Forum page. This year – and, of course, in future years – we seek to continue this tradition. The cost per NSLF Scholarship recipient is approximately $2,500 to cover their expenses for registration, travel and accommodation. We look for candidates who hold leadership potential, complemented by compassion and an openness to discussing their values and beliefs. Additionally, we consider these emerging leaders as ambassadors for Graduate House and for the wider Graduate Union. Needless to say, this Forum is an extraordinary experience for the participants but also very important for the continued growth and vibrancy of our Association. We thus invite you to support our 2018 Annual Appeal by donating online. Should you wish to direct your donation to another cause, or to discuss others types of gifts, please feel free to call our offices for information on 03 9347 3428 or visit the Benefaction section on the website. I feel like a different person with an amplified desire of giving back to society and spreading nothing but positivity and love. All of us can do our part to make this world a better place, through actions big and small, as the leaders of tomorrow. The Forum was an opportunity for me to reflect on my leadership abilities. I learnt a lot about myself. I didn’t think that broadly about how do I help the community, can I help others. I’ve really realised how strong we actually can be. The idea was not how to get others to obey and follow you, it was to take control over and lead yourself and to understand and refine your own values. To channel the skills and talents you have into these and to let them guide you. I believe this forum helps give us the strength to become this change, to engage with the world and others as a transformative leader that serves others, listens without judging and perseveres against adversity. Graduate House is where you reside and meet other graduates. The Graduate Union is an international association. In our House and across our Union, we aim to acknowledge the privilege of education by working wisely and carefully together across cultures, disciplines and life stages as a collegium of graduates in the best interests of our global society. Your stay here – be it one night or several years – will be unique. It marks the beginning, or continuation, of a lifelong involvement with our vibrant network of graduates. We encourage Residents and Members to be active influencers and create and use opportunities for sharing, learning and giving. Our 2018 Annual Appeal had over 100 donors whose valuable contributions supported the attendance of two Resident Members to the National Student Leadership Forum (NSLF). We would like to thank especially those who donated $1,000 or more in our 2018 Annual Appeal. These donors have their names on our Donors Thank You Board at Graduate House. Our gratitude is extended also to all other donors whose gifts, regardless of how big or small, have contributed to the betterment of our Union and our House. Our 2017 Annual Appeal had over 100 donors whose valuable contributions will be focused on refurbishment of the Phillip Law Members Lounge, dining room and foyer with replacement of carpet, tub chairs and couches. We would like to thank especially those who donated $1,000 or more in our 2017 Annual Appeal. These donors have their names on our Donors Thank You Board at Graduate House. Our 2016 Annual Appeal had over 100 donors who have collectively built on our current scholarship, fellowship and awards program for Members enrolled in post-graduate study or those advancing careers through accredited professional development courses. We would like to thank especially those who donated $1,000 or more in our 2016 Annual Appeal. These donors have their names on our Donors Thank You Board at Graduate House. Our inaugural 2015 Annual Appeal had over 100 donors and raised much needed funds for new furniture in the terrace residential rooms. We would like to thank especially those who donated $1,000 or more in our 2015 Annual Appeal. These donors have their names on our Donors Thank You Board at Graduate House. Donations will be directed to our specific-purpose endowment fund established to support the attendance of (at least) two Resident Members at the National Student Leadership Forum (NSLF) each year. We thank you for supporting our emerging leaders. *$2,500 covers the costs for one Resident Member to attend the NSLF.